This dish is fantastic eaten either hot or cold. 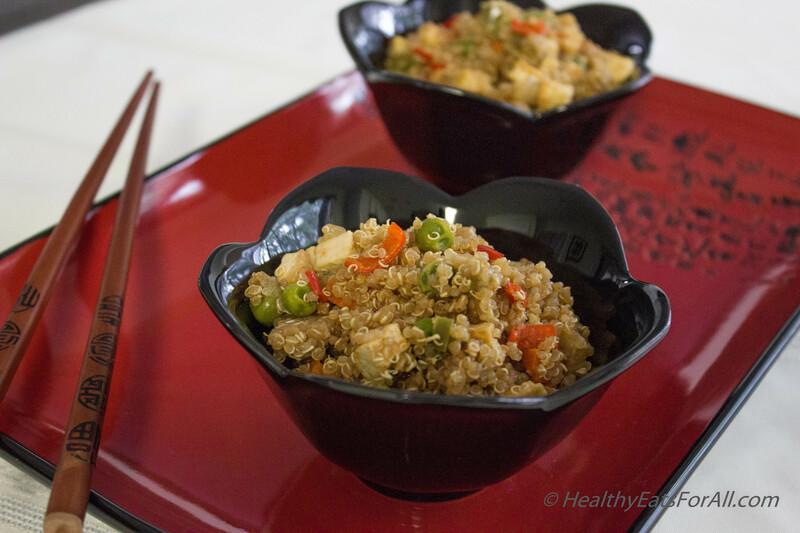 It’s full of protein, fiber, and vitamin A – and it can work as a snack or as a side dish to a meal. It is also great to take to picnics or pack for school lunches. Kids and adults alike will love it! If you keep leftover cooked quinoa in the freezer like I do (check out my Tips & Tricks Page to see how to do this), then making this recipe is a total breeze! 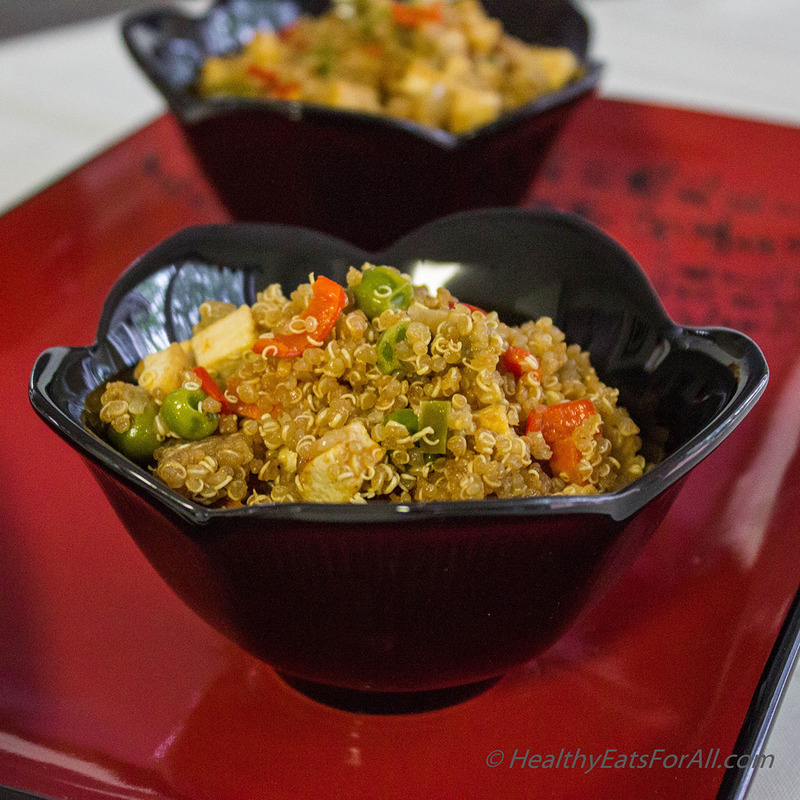 By the time you are done chopping the veggies, the quinoa can be thawed and the dish will be ready in less than 20-30 minutes! The best part is that you can make this dish itself in bulk and it keeps really well in the fridge/freezer. Cook the quinoa and cool it. 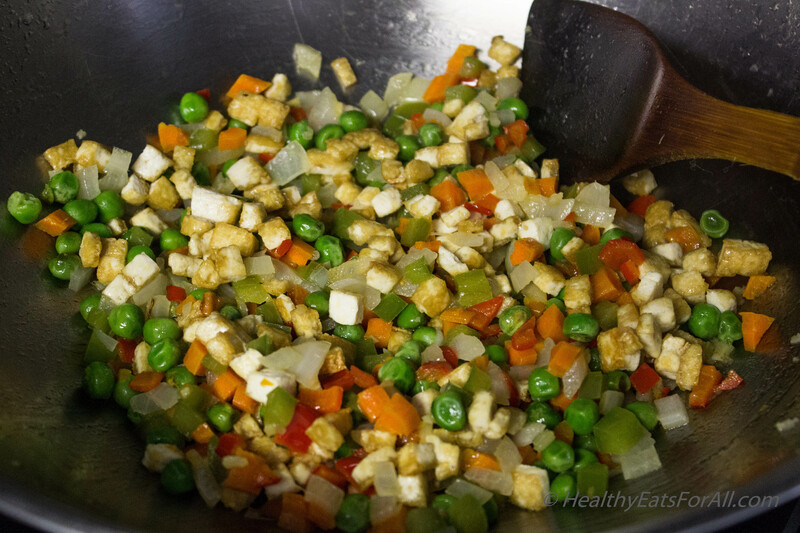 Make sure all the veggies and tofu are diced to a similar size. Take a wok or big enough pan, heat it. 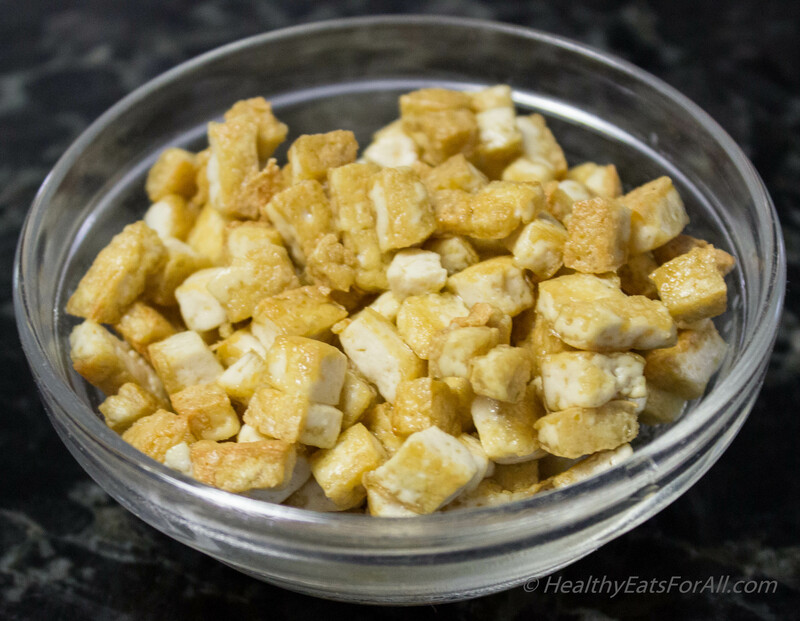 Add oil and once oil is warm add diced tofu in it. 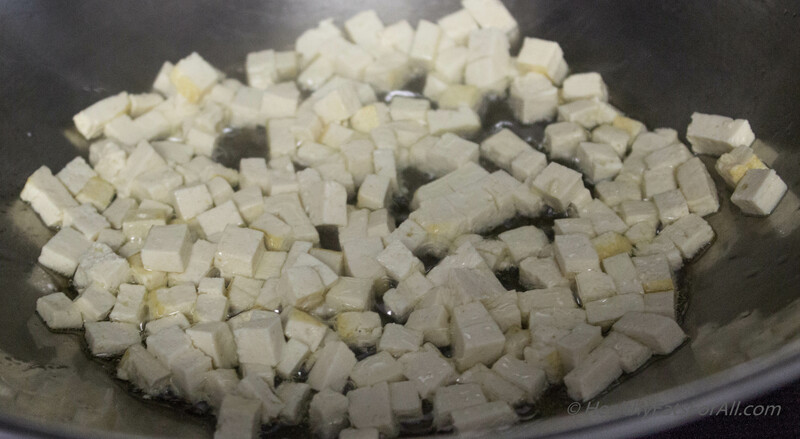 Cook the tofu till it turns slightly brown. Drain it out and leave the oil in the pan. 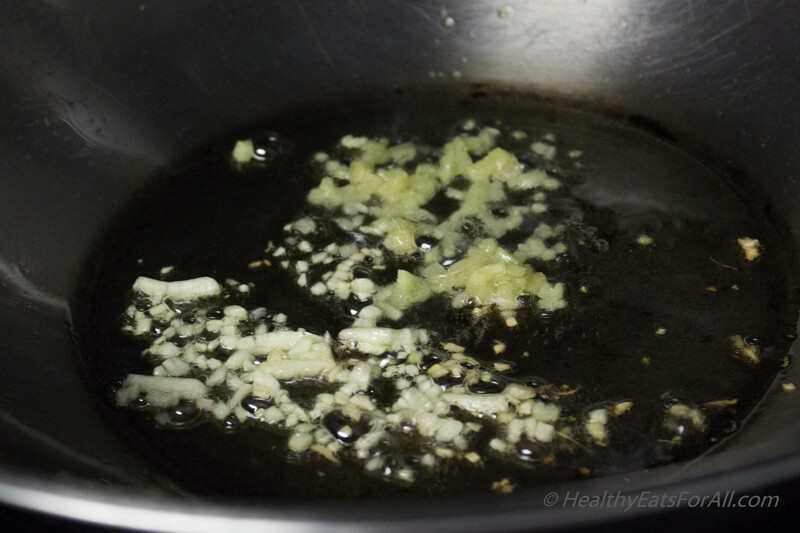 In that same oil sauté the ginger garlic first for 30 seconds. 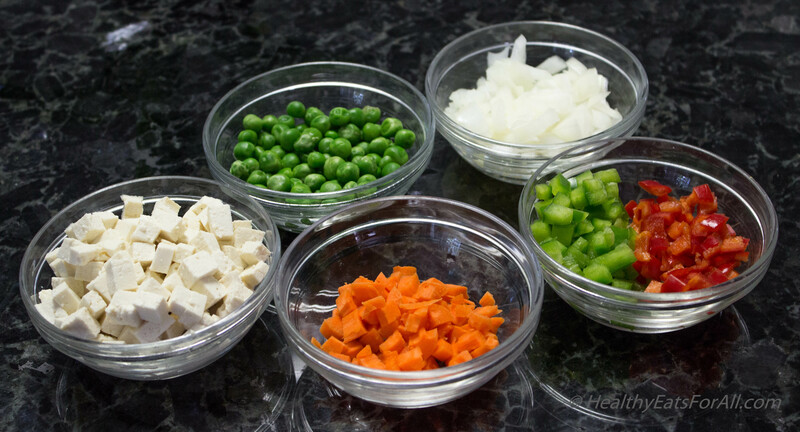 Then add the onions, carrots, bell peppers, peas and tofu. Sauté for 2-3 minutes. Add the cooled quinoa to the veggies and mix well. Add the soy sauce, vinegar, Sriracha sauce and salt in a bowl and mix well. 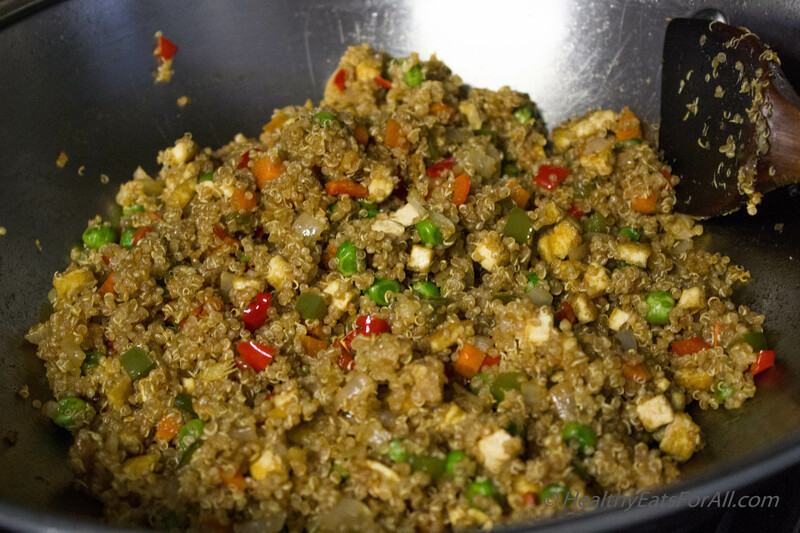 Add the above sauce mix to the quinoa mix and mix well. Adjust the salt and Sriracha according to your taste. Enjoy as a snack, side dish or as part of a meal with some chicken etc.